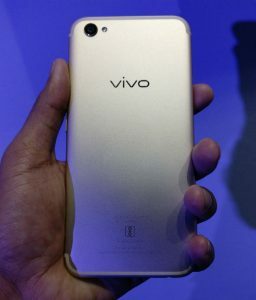 Vivo has launched their dual selfie camera phone, the Vivo V5 Plus company’s first ever dual selfie camera phone. 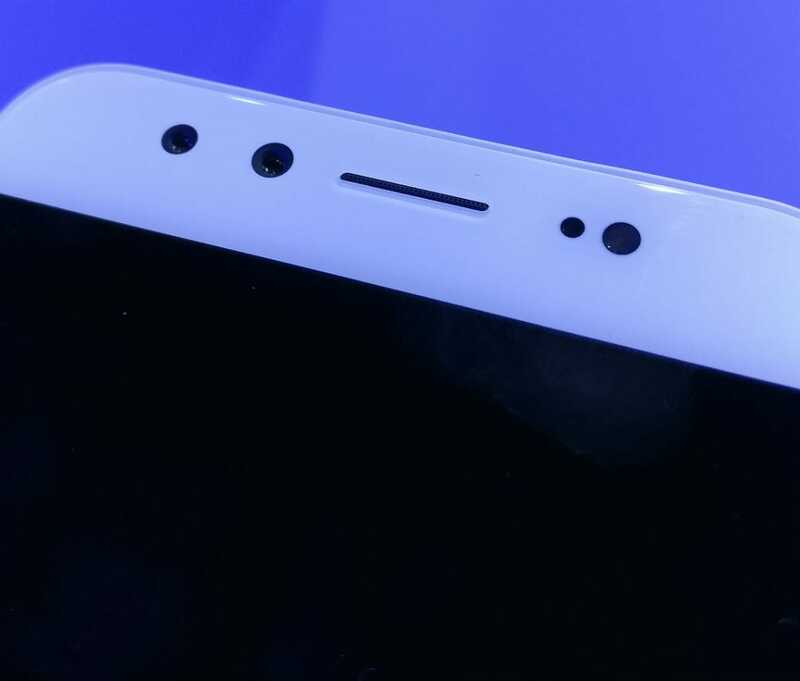 During the launch of Vivo V5 back in November, the company has announced that they are bringing a phone with the dual front camera, at that time they haven’t mentioned any price tags and release date for Vivo V5 Plus. 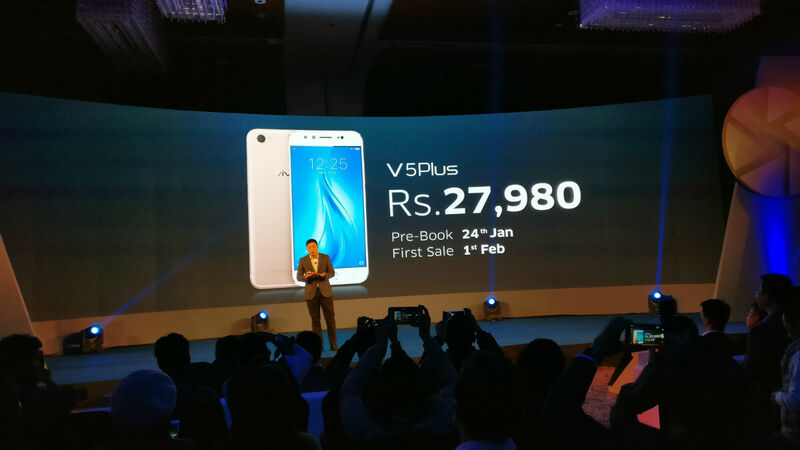 Today at Delhi, the Chinese smartphone maker Vivo has officially launched the Vivo V5 Plus in India, luckily I was one of the very few people who has got a chance to review the Vivo V5 Plus just after the launch event. Vivo V5 Plus is all about the selfie camera and Vivo totally nailed it, Vivo “V5 Plus begins the new era of selfie camera”. 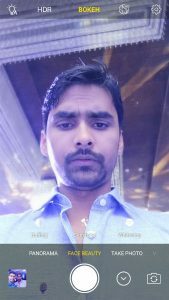 Nowadays everyone loves taking selfies and smartphone companies also know this fact, that’s why every company is coming up with the better and better front camera on their new phones. 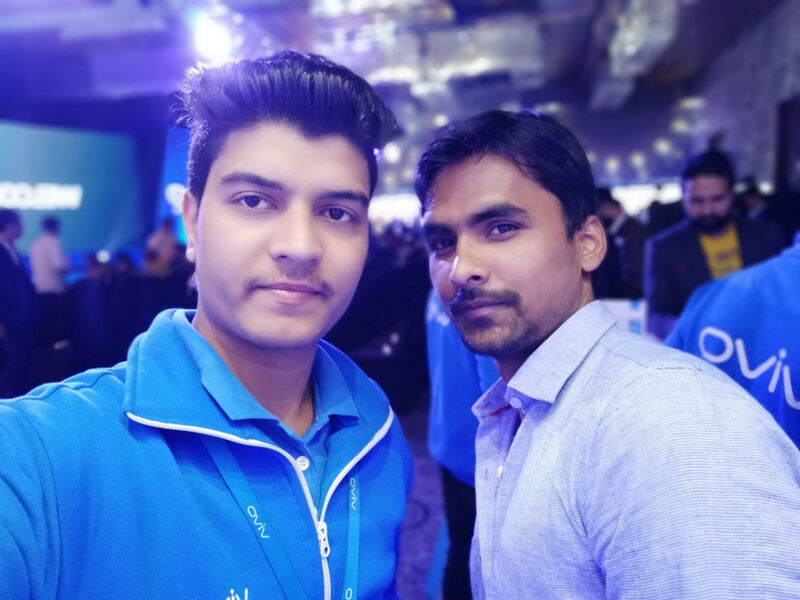 We have seen how OnePlus, Oppo, Xiaomi, Apple, Samsung and all other brands are improving the selfie shooter in their devices examples are iPhone 7 Plus, OnePlus 3T, Oppo F1 Plus, Oppo R9/Plus, Galaxy A5 and lots more. This is not the first time some company has launched the phone with a dual front camera, last year Lenovo has launched a phone with the 8MP+2MP dual front camera. But that didn’t go well because the performance wasn’t up to the mark, whereas here we have Vivo V5 Plus with 20 MP + 8 MP camera with a remarkably well build-quality, fingerprint, and performance, let’s have a quick look at the specifications. 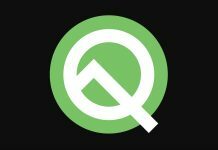 Design and build quality are very important when you are talking about the device which you are going to carry with you all the time, even from the marketing point of view design is the first thing to impress the buyers then it should feel good when you hold it in your hands and there comes the build quality. I personally like the design and build quality of Smartphones from Chinese brand like Xiaomi, OnePlus, Oppo and Vivo. Okay! maybe their designs are not completely unique all the time and maybe they are following similar design pattern in their too many devices but you can find a better design sense and build, much enough to impress when you seeing it the first time. Vivo V5 Plus is no exception, it has a beautiful design you will surely notice the finishing, perfect alignment of the camera, sensor, camera flash, and buttons. 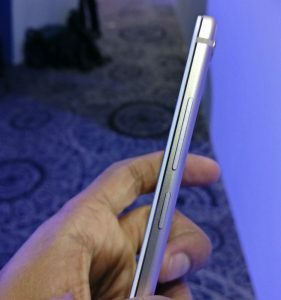 Vivo V5 Plus has a full metal unibody with redesigned antenna lines which looks better and different from the predecessor Vivo V5. It feels good when you hold it thanks to its sleek design. Up front, you will have a 20MP+8MP camera, LED-flash and earpiece perfectly aligned above the display. 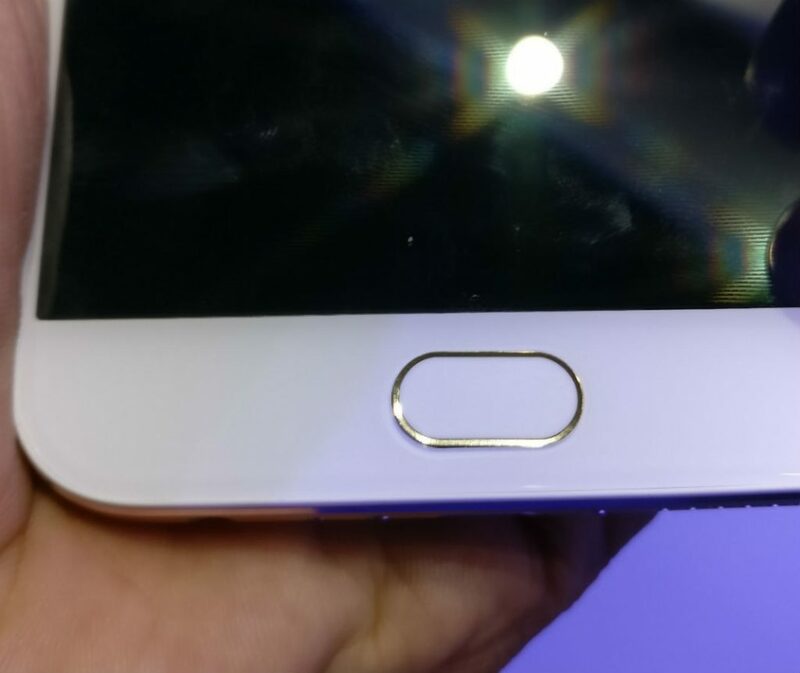 The fingerprint sensor is mounted on the front just below the 5.5 inches Full HD (1080 x 1920 pixels) display. 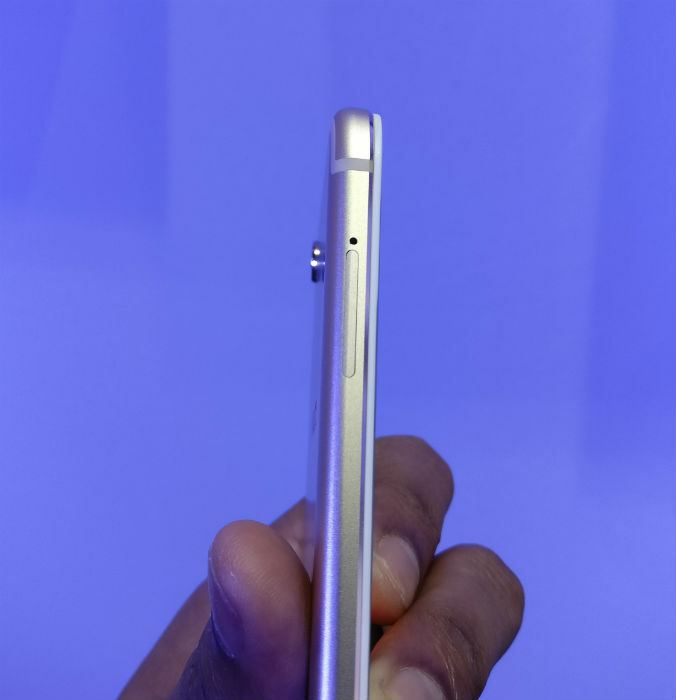 Volume buttons are placed above the power/sleep button on the right side of the device. On the left side of Vivo V5 Plus, you have the hybrid SIM slot, the bottom of the device has a 3.5mm audio jack, micro-USB port, and the speaker grille. 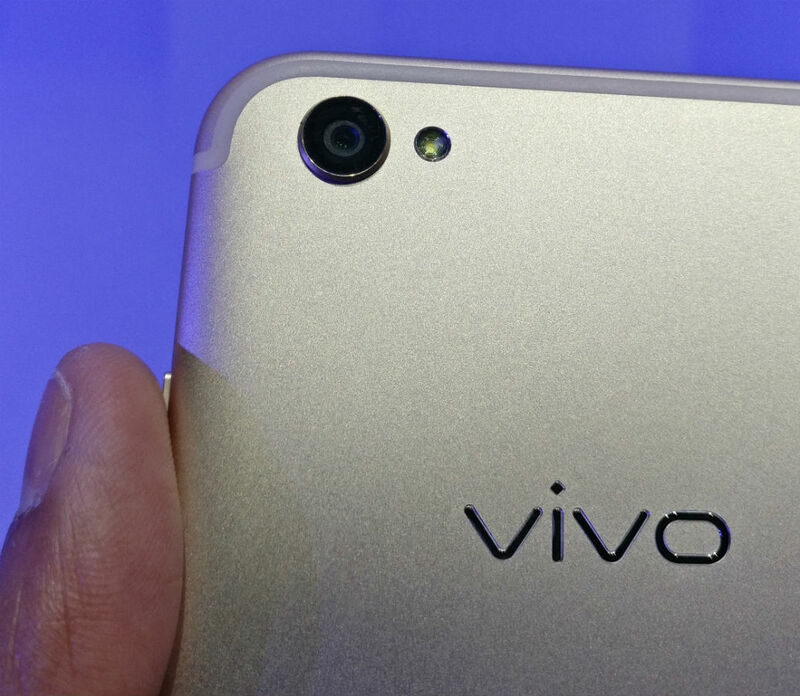 A 16-megapixel camera along with LED flash is placed on top of the rear side with Vivo branding at the centre. It is very important for any device to have a brilliant display and fingerprint because this the part of any smartphone you are going to interact most. 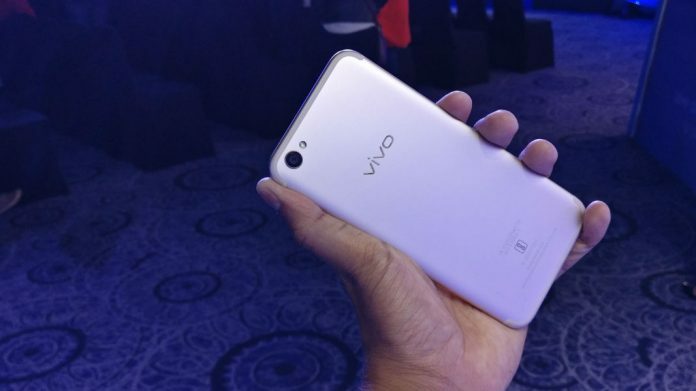 As mentioned above it has 5.5 inches full HD display that they have missed in its predecessor Vivo V5 which has 720p HD display. 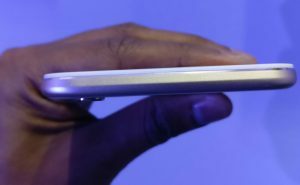 The 5.5 inches 1080p display with 402ppi comes with 2.5D curved Gorilla Glass on top. The display is good, not good as the trending AMOLED displays but the colours look accurate and vibrant. Pictures and video playback look very nice whereas the touch sensitivity is also brilliant. The display is similar or better than other Full HD displays but I liked the fingerprint of Vivo V5 plus most (apart from the front camera). 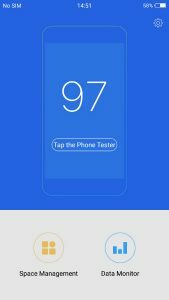 I was wondering why they are not promoting about fingerprint reader, the fingerprint sensor of Vivo V5 Plus is really fast and accurate, I have checked multiple times more than I can count and it worked amazingly fast and accurate every time. The only thing is you need to register the fingerprint properly else you will get errors, move your finger in multiple angles while registering on the fingerprint sensor. It has a 16MP rear shooter with phase detection autofocus, face detection, touch focus and LED flash, the camera app gives you an easy interface to click the photos. You can switch between the rear and front camera from the top of the app, there are also flash control and different camera modes at top of the camera app. Bottom of the camera app has a shortcut to the gallery, filters and camera shutter at the centre. Camera app featured all the popular settings like HDR, night mode, and Panorama. It also has professional mode kind of manual mode which enables the options to customize the shutter speed, ISO, exposure and white balance. The rear camera of Vivo V5 plus can record the normal and time-lapse video 1080p full HD video and 480p slow-motion video. The 16MP rear camera is just okay, you can click the decent photos with it in all light conditions which look bright and vibrant on its full HD display. The colour reproductions and colour accuracy are average but it won’t disappoint you and that’s fine! because Vivo is focusing more on front camera and if you love taking selfies then you will definitely love this phone. 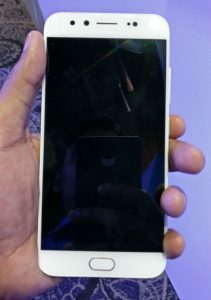 Talking about selfies, Vivo V5 Plus has 20 MegaPixel Sony IMX376 front camera with the 1/2.78″ sensor size, f/2.0 aperture, and 5P lens system. The 5P lens system is nothing but 5 pieces of lenses elements, more lenses produce fast focus, sharpness, and great image quality with lesser distortion and true in image clarity. If you think 1/2.78 sensor size, f/2.0 aperture, and 5P lens are not enough to capture the perfect selfies then here you have 8 MP f/2.0 camera that will add depth in the images. 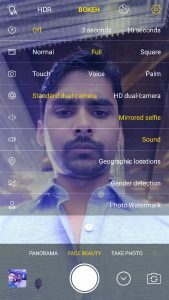 Front camera takes really impressive selfies with brilliant depth details, you will love to take selfies with blurred background. It also has an option to refocus the shots even after capturing the image and you can add blur effect wherever you want. 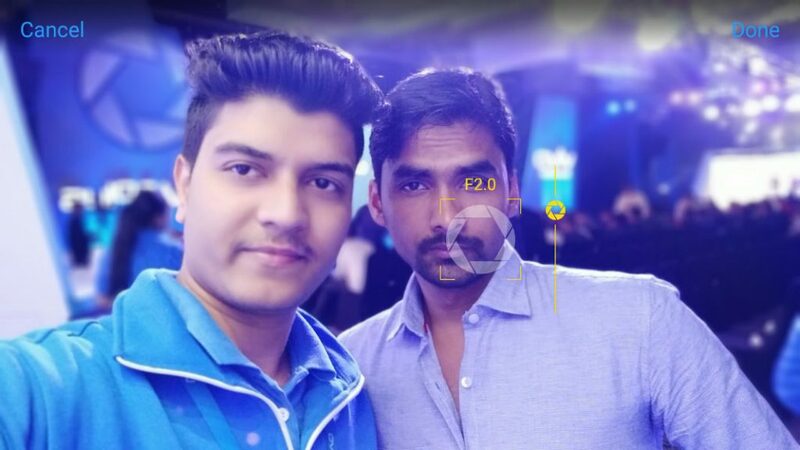 The 20+8mp front camera comes with the “selfie spotlight” flash to click the selfies even in low lights. 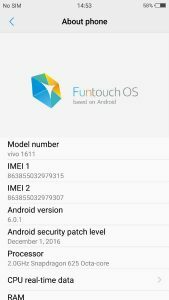 Vivo V5 Plus runs the Funtouch OS 3.0 based on Android M 6.0.1, It doesn’t have much bloatware there are few apps which you may find useful eg. apps for the theme, backup/restore, file manager, EasyShare(file sharing), internet browser and vivoCloud to backup your data on the cloud. You can make use of iManager to clear cache, monitor data use, uninstall apps and you can also lock the apps using iManager which can be unlocked using the fingerprint. It doesn’t come with any app drawer and it’s not even near the stock Android which I personally like. All installed app will be placed on the home and nearby screens, to organize the apps all you can do is create folders based on the type of apps. Notifications are appearing by dragging from top to bottom and sliding the screen from the bottom will show up the recently opened apps, brightness and volume control bar, the Wi-Fi, flashlight, mobile data, Bluetooth, GPS, Wi-Fi hotspot and other options are also there. Memory management and overall performance are nice and smooth, I have installed all the apps we use in our daily life like WhatsApp, Skype, Facebook, Facebook Ads Manager, Google Maps, and few light games like Temple Run, Stupid Zombies, SmashHit and it was running very smoothly. Memory management for the apps in the background is also good you can easily switch between the apps, it will keep most recent apps loaded in the memory so you can switch between them easily. I have to explore the resource intense games, which I will update here later. I guess they might improve the sound quality in upcoming software updates. 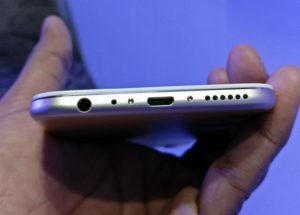 The overall sound quality of Vivo V5 Plus is good but I think Vivo needs to work more on the sound quality to impress the audiophiles. Battery backup seems impressive at first sight since I have used the device just for few hours so it would be unfair to judge the battery but I assume the battery backup should be fine since they have battery efficient processor, very good memory management, and app optimizations. 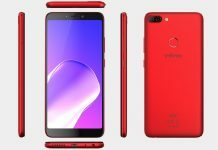 The target audience of this device is clearly those who love taking selfies and who will like to have a device with the stunning front camera, so if you are among them then you can definitely go for it. Overall, the device can impress you with the camera, design, build and fast Fingerprints sensor, if it’s the price is in your budget then you can buy it even if front camera is not on your priority list. But if it’s not fitting with your budget and the massive front camera is not your priority then you can also go with the Xiaomi’s recently launched Remi Note 4. All scores are out ten and this is based on my personal experience with the device. 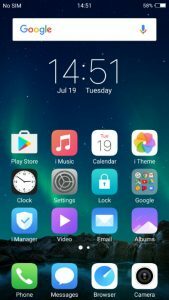 hi, how to use imanager vivo v5 plus. I am one among those people who are addicted to selfies, why not? When there are always the opportunity to share it and update my social media status with great pictures. I am glad to know that Vivo V5 Plus has the capability to capture amazing images. Its features encourage me more to take photos anytime or even in low light. Thanks for sharing this information, hoping to hear more if there are new added features on this product. Thanks a lot for sharing this great article, I really appreciate the hard work you have put in. I am a regular follower of your site, and it seems its authority has increased a lot in last few months. I will recommend your site to my friends for sure. Indeed this would be very good choice for those who like to have an excellent front camera and not a fan of stock Android. In this price range, you can also consider the OnePlus 3 & 3T which have SnapDragon 820/821 processor, 6GB RAM and stock android. If you are fine with the price and front camera is not your first priority then you should go with the OnePlus 3 or 3T. OnePlus 3T comes with 16MP front camera which is very good for taking selfies though not as good as front camera of Vivo V5 Plus.